Healthcare organizations are most effective when they are in good financial health. 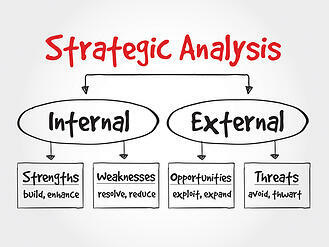 However, increased pressures both externally and internally pose serious challenges to their survival. In an era dominated by high deductibles and tightening payer reimbursements, optimal focus on revenue cycle management has become more important than ever . Healthcare organizations and medical practices must learn to optimize their revenue cycle while continuing to deliver optimal patient care and succeed as a business entity. What is Healthcare Revenue Cycle? Healthcare Revenue Cycle is defined by the Healthcare Financial Management Association (HFMA) as "all administrative and clinical functions that contribute to the capture, management, and collection of patient service revenue". It is a dynamic process that essentially encompasses the entire life of a patient account. Revenue Cycle Management (RCM) is a financial process which unifies the clinical delivery side with the business side of a healthcare organization by managing, collecting, and optimizing the revenue that is generated by the patient services provided. It is way more than billing – it includes the whole spectrum of an organization’s operations, from financial strategy and policy, to appointment scheduling, eligibility verification, care delivery, documentation, coding, charging, billing and claim submission, denial management, and multiple steps and components in between. It is essential that medical practices master this vital process, as it determines their ability to survive and thrive. What is a typical Healthcare Revenue Cycle Management Workflow? Demographic and insurance information can be collected from patients at the point the patient schedules an appointment. This is the starting point of the revenue cycle, and presents an opportunity to gather the necessary information needed for the next steps of the cycle. Both of these steps, which should happen before services are rendered, help ensure that the right amount is billed to the right payer, and the patient is made aware of out-of-pocket costs, if any. A verification checklist can be a great tool to make sure that all vital information are collected and taken into consideration. High-quality patient outcomes and great customer service are important in the revenue management cycle, because they make sure that patients are satisfied with the treatment and services provided. This results in patients who return the next time they need care, and helps expand the practice’s patient base. The clinical documentation of the patient visit and services rendered must be timely, accurate, complete, and comply with regulatory standards. The use of EMR templates helps clinicians achieve those goals, as well as streamline the revenue cycle process by capturing clinical data which payers may require. Whether done manually or with the aid of software, these steps ensure that the documented services are translated into billable charges. 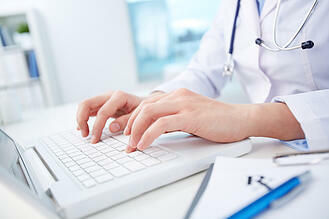 Proper coding of diagnoses and procedures ensures accuracy and maximizes reimbursement. It is important that coders are experienced and knowledgeable so as to optimize this process. Submitting accurate and timely claims help maximize the revenue collected as well as prevent delays. 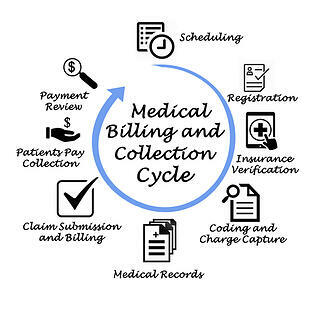 Medical billing solutions that take the whole revenue cycle into consideration with claim submissions right from the first step help boost practices ability’ to collect the full amount of payment. The end point of the revenue cycle management is when payment is received, based on the patient’s coverage and any existing contracts with payers. This includes those provided by the patient for services not covered by insurance payers. Claim denials represent a significant challenge to a practice’s income stream. An effective denial management process has the ability to appropriately address denials and recover revenue that may have been otherwise lost. A practice’s revenue is influenced by multiple elements. Some of these are internal and can be controlled by the practice. However, several are external and outside of the practice’s control. These revenue drivers include the fees that the practice charges for certain services, procedures, and treatments. The make-up of the patient base served by the practice (such as number of patients, health status or conditions, frequency of seeking treatment), as well as physicians’ capacity to see patients and deliver the necessary care, are the other internal drivers of revenue. Front and back office workflow and skill of the staff also drive revenue to some extent. These drivers, which include patient and insurance payer payments, are much more challenging to deal with. External drivers also include healthcare regulations and reimbursement schemes. Having a process for collecting payments for services that have already been provided appear to be a simple and intuitive way of doing business. 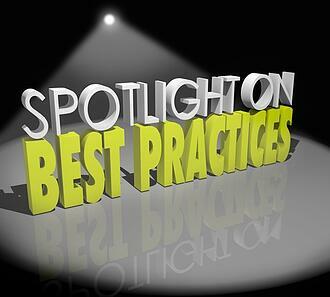 However, practices are not always able successfully manage some or all aspects of this process. There are real challenges to the effective execution of revenue cycle management, some of which are unique to the U.S. healthcare industry. One of the biggest challenges in revenue cycle management is the ever-changing healthcare regulations and complex reimbursement models that are introduced every few years. Practices have to stay abreast of these changes, and make sure that their staff understand them and are able to perform their tasks in compliance with these regulations. Expertise in all aspects of the change may be hard to attain, especially for smaller practices. With the new regulations and the rise of consumerism, patients are increasingly responsible for larger and larger share of healthcare costs. Practices need to master the balancing act of ensuring that they collect patient payments while not resorting to “high pressure sales tactics” that may turn off patients and cause them to seek care somewhere else. This may be accomplished by continuously and consistently educating both staff and patients regarding payment workflows and expectations, as well as establishing alternative payment methods including payment plans and online payment. If a process is not established for monitoring claims, errors or delays may not be easily identified and resolved, resulting in lost revenue. Having claims denied is frustrating and impacts a practice’s bottom line, and each denial increases the risk of a practice not getting paid for services already rendered. The high percentage of denials (14%) and claims that are never refiled (50%) represent a significant chunk of revenue that practices are leaving on the table. An effective denial management plan involves insurance follow-up services and AR (accounts receivable) management to help improve the chances of being paid. Each and every staff member involved in the revenue management cycle need to be properly trained in the policies, procedures, and workflows involved. Adequate and effective staff training might be time-consuming and involve costs, but pays off when staff are very knowledgeable about their roles and functions and can do them correctly and efficiently. High quality patient outcomes which results from exceptional care delivery and patient engagement help expand the patient base and lower costs, which translates to increased revenue. Having a financial policy and procedure in place that addresses issues such as unpaid balances can be very helpful in providing guidance to both staff and patients. This policy can include emphasis on pre-registering patients and posting charges as soon as possible, among others. The backbone of a successful practice is a well-trained staff, including front and back office, clinicians, certified medical coders, and others. In addition to proficiency in their specific jobs, staff also needs to understand their role in the revenue cycle process and how they can enhance and improve the process. An efficient process that moves the claim through its life cycle with no errors or delays allows practices to collect the cash that they need and deserve. The appropriate and effective use of technology solutions can help improve patient care, enhance accuracy, automate and streamline repetitive or tedious processes, and increase staff productivity. Here are some ways that technology supports and enables an effective revenue cycle management process. Ever-changing healthcare regulations and reimbursement models have made it incumbent upon medical practices to be increasingly responsible for optimizing payment collections and all other aspects of healthcare revenue cycle management. 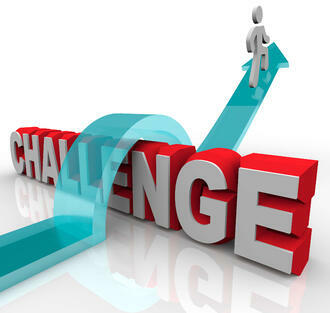 While there are indeed many significant challenges, implementing best practices can help maximize collections and reduce costs at each phase of the revenue cycle, as well as help small practices better understand, measure, and control the financial aspect of the business. Train your front staff to gather all the necessary demographic and insurance information from the patient during appointment scheduling. Use “communication scripts” to help staff explain the collection of co-pays as well as the various payment methods or plans available to patients. A well-trained front office staff contributes to both revenue optimization and patient satisfaction. This helps both the practice and the patients, as it has the dual advantage of preventing claim errors and making patients aware early on of any payment responsibilities from their end. The increased transparency can help patients plan for out-of-pocket payments, and more readily respond when front-office staff collect these payments. Use and customize EMR templates to efficiently capture both clinical documentation and charge data. Remind clinicians to document clearly, completely, and accurately, and set up a review process to help them identify areas for improvement. When possible, use an EMR/EHR that is integrated with your revenue cycle management system, so that data can be pushed automatically and seamlessly downstream, which helps reduce errors and delays. Use technology to automate key aspects of your claim submission process. Use e-remittance to speed up payment turn-around time. Provide an online payment portal that allows patients to conveniently make payments that were not collected during an in-person visit. Improve cash flow by effectively managing your insurance follow-up and claims denial processes. Use reports and data analytics to monitor revenue goals and visualize areas for improvement. Evaluate and implement software solutions for various aspects of revenue cycle management that meets the practice’s needs. The right software solution for the right process can enable physicians to focus on patient care instead of worrying over payments. Consider outsourcing your revenue cycle management process to a vendor that offers a comprehensive and integrated solution. Practices who don’t have the time or staffing resources to internally acquire the necessary knowledge and expertise of all the aspects of revenue cycle management may find this option feasible and advantageous. According to Becker’s Hospital Review, “seventy-two percent of hospital CFOs consider end-to-end revenue cycle management outsourcing to be the best option until value-based payment models is better established”. Healthcare regulations, reimbursement models, and technology have been changing at an increasingly accelerated pace. These present formidable challenges for healthcare organizations to maintain their financial viability. A well-thought-out and robust revenue cycle management strategy can mean the difference between practices that are struggling to survive, and those that succeed and prosper. Practices that automate where appropriate and streamline when necessary gain an advantage over those that are mired in tedious and time-consuming tasks that do not provide the desired outcome – maximum payment for rendered services at the soonest possible time. It is more crucial than ever for practices to assess their need for robust and reliable revenue cycle management solutions. 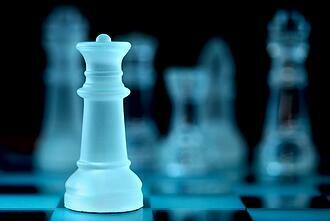 RevenueXL has flexible solutions for a variety of revenue cycle management needs. We offer individual or integrated tools that can support your overall revenue cycle management strategy. Contact us today to discuss how we can help. ACO - An Accountable Care Organization (ACO) is defined by CMS a group of doctors, hospitals, and other health care providers, who come together voluntarily to give coordinated high-quality care to their Medicare patients. The goal of coordinated care is to ensure that patients get the right care at the right time, while avoiding unnecessary duplication of services and preventing medical errors. Bundled payments – are payments which are either “fixed-rate” or “flat-rate” pricing structures for the treatment of certain conditions based on the expected costs of associated services. MACRA - The Medicare Access and CHIP Reauthorization Act of 2015 is a law that was signed on April 16, 2015 and replaces the Sustainable Growth Formula. It rewards clinicians for value over volume, streamlines multiple programs under MIPS, and gives bonuses for participation in APMs. Medicare Shared Savings Program – is a voluntary CMS program which offers providers and suppliers such as physicians, hospitals, and others involved in patient care an opportunity to band together as an ACO. MIPS – The Merit-Based Incentive Program is slated begin in 2019. MIPS streamlines 3 currently independent programs to work as one to ease clinician burden. It also adds a fourth component to promote ongoing improvement and innovation to clinical activities. It aims to provide clinicians the flexibility to choose the activities and measures that are most meaningful to their practice to demonstrate performance. 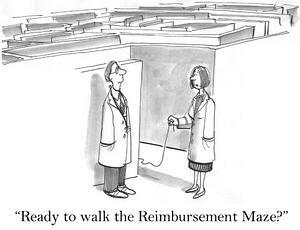 Value-based reimbursement – refers to payments that Medicare, Medicaid, and other payers tie to the quality of care provided or patient outcomes. They are intended to incentivize care providers to focus on quality and lower costs and inefficiencies.